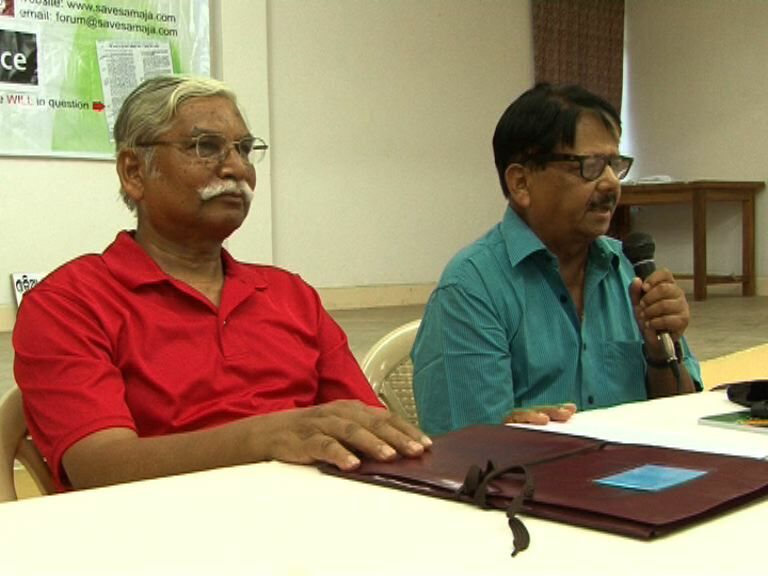 Save the Samaja Forum has called upon the State Government to initiate action against miscreant members of the Servants of the People Society (SoPS), who have occupied the daily Samaja by using apparently a forged WILL of Pt. Gopabandhu Das. The Forum held a public conference in Lohia Academy Auditorium at Bhubaneswar on Aril 27 with senior journalist Prasanta Patnaik in the Chair. Joint Convener of the Forum Subhas Chandra Pattanayak detailed the unfair labor practices, illegalities and embezzlement resorted to by the tainted members of the SoPS. The Forum raised five demands: (1) The Registrar of Newspapers for India (RNI), before whom the Forum’s demand for verification of the genuineness of the WILL in question is pending, must conclude its probe without dilly-dally and take action against SoPS if the WILL it relies upon is found to be a fake one; (2) the State Government must probe into embezzlement of the Samaja revenue by SoPS members and recover the misappropriated money of the Samaja; (3) Labor authorities of the State must initiate action against Samaja/SoPS for blatant contravention of industrial and labor laws; (4) the false and fabricated cases against Utkalmani Newspaper Employees Association President Sri Devi Prasanna Nayak and General secretary Sri Subash Singh must be withdrawn and (5) the State Government must save the Samaja from the grip of the SoPS, members of which are indulged in rabid misappropriation and blatant mismanagement of the funds of the Samaja. President Sri Patnaik showed how the management of the Samaja have implicated trade union leaders in false cases and called upon media as a whole to expopse the misdeeds of the Samaja occupiers. Amongst others, editor of Samadrusti Sri Sudhir Patnaik, editor of sachitra Bijaya Sri Kedar Mishra, editor of Janatantra Sri Vivekanand Dash, editor of Subarta Sri Pradyumna satapathy, Advocate Banamali Das and eminent educationist Prof. Narendra Prasad Das expressed deep agony over reported illegalities and immoral activities going on in the Samaja and stressed upon wider campaign against the mischief. It was decided to widen the campaign against SoPS to save Gopabandhu’s paper from its illegalities. Coordinator Pabitra Maharatha proposed the vote of thanks.